"A unique combination of different colours Imitation polished concrete is combined with a poured puddle of bespoke red pigment"
We worked with the amazing design team at Barbarella Studio on this unique space - one of our most popular installations wtih a bespoke poured puddle... read more about it on their site HERE! We were approached for this project as part of a massive refurbishment of an historic building. Twickenham Studios has a long and fascinating history, and holds an important place in the local community, but it needed a revamp for the 21st Century. 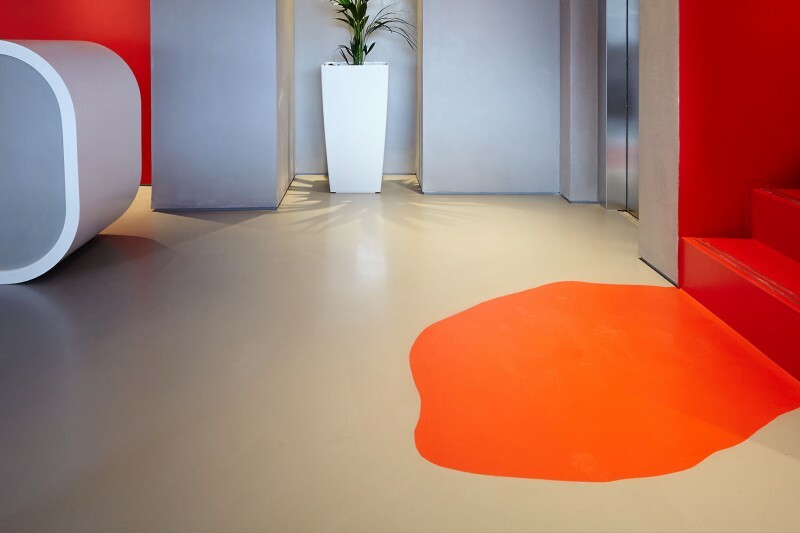 Our brief was specific, challenging and exciting - the client was looking for a polished concrete-effect floor for the ground floor lobby, but wanted to incorporate a puddle of red resin that 'poured' down the stairs from the boardroom to the entrance hall. Furthermore the red resin had to exactly match the corporate guidelines of the studios. 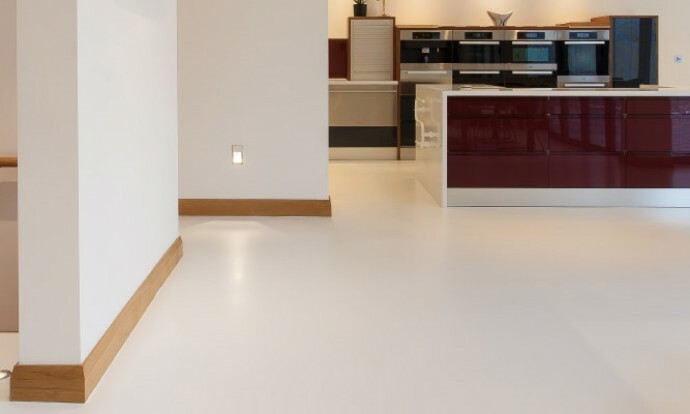 The final effect is incredibly dynamic, with the industrial grey flooring giving way to an exciting focal point. 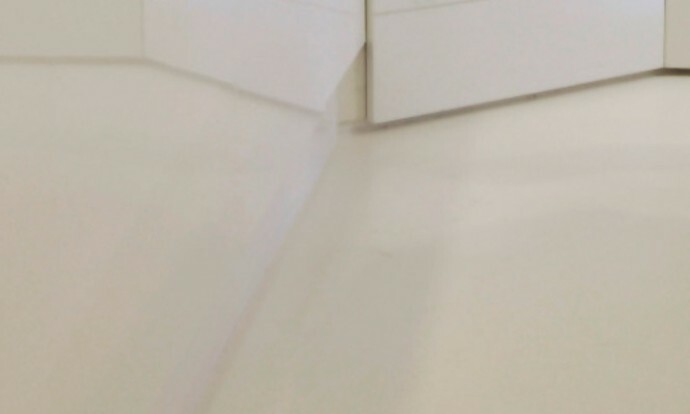 This project really utilised our complete flexibility on colour and design, as well as developing an innovative resin technique. Read all about it on our blog!